Community closet: Deena Varshavskaya of Wanelo. Mash up the words want, need and love, and you get Wanelo, the name of an online community of people who can link to products they like and share them with their friends, via a corkboard-like interface similar to Pinterest. But unlike Pinterest, every item listed and shared on Wanelo is available for sale online. Clicking the "Buy" button redirects users to a retailer's website. Rather than having to discover new products from advertisements, Deena Varshavskaya envisioned a platform that would show her what her friends were buying. "It became clear to me that there needed to be a community to create a social experience around shopping," says the Siberia-born serial entrepreneur and web designer. 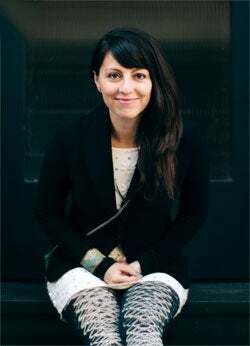 She put her ideas together and launched Wanelo in October 2010 out of San Francisco. Two words: young women. According to Alexa, a provider of global web analytics, the most active Wanelo users are college-educated females ages 18 to 34, with no children and incomes ranging from $30,000 to $60,000. They're spending about six minutes on the site and 31 seconds per page view. Wanelo also has iOS and Android apps, which boosts the usage rate among its core young demographic. Wanelo generates revenue through affiliate marketing, taking a small cut of any sale linked to the site. Varshavskaya is concentrating on increasing her subscriber base, hoping to bring on more members, particularly men, and thereby improve the site's value among its users. "There are very promising ways to monetize what we are doing," she says. "We have a really big opportunity because we are so close to the products in the stores." In March Wanelo added the ability for retailers to claim store pages on the site; Urban Outfitters, Free People and ModCloth are among those that jumped on board early. But it's the smaller boutiques and brands that excite Varshavskaya most. "In our system, you'll find a lot of big brands that you know, but you'll also find a ton of independent sellers that you've never heard of," she says. "That's the value that we provide for users."